We at Pontefract Roofers would like to remind our customers to check their roofs after the remains of Hurricane Gonzalo hit the UK last night. Strong winds of up to 60mph spread across much of the country, causing the most disruption during rush hour times. This resulted in some slight delays to local travel. In a continuation of what we’ve already seen in October so far, there was also some heavy rain. The downpour was most prevalent in Northern England, Northern Ireland, North Wales, Southern and Eastern Scotland. Last night&#146s weather conditions came as a result of the storm that directly hit Bermuda last Friday. Although the territory came out of the hit better than expected with no deaths or serious injuries, its Premier Michael Dunkley described the area as ‘bruised’. It caused power cuts to an estimated 31,200 homes, as well as flooding, felled trees and damaged buildings. The winds were reportedly measured at up to 110mph. Luckily for us here in the UK, the severe weather caused by the hurricane has now passed. As mentioned, however, we do advise all of our customers to check their roofs and inspect any damage. Although roofs are built to be exposed to all elements throughout the year, even well built ones eventually wear out. 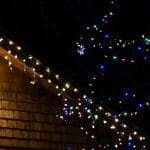 If there is a particular weak spot in your roof then the recent wind and rain could potentially lead to more serious damage. The most common roofing problem as a result of weathering is a slipped or cracked tile. 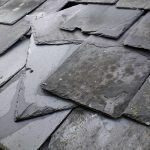 It is easy to spot a slipped tile from inspecting your roof at ground level, as it should be clearly visible – a cracked tile, on the other hand, may require a closer look. As always, we at Pontefract Roofs advise everyone to take care should they make the decision to inspect their roof closely. It’s extremely important to feel safe and have someone assisting you at all times – failing that, there is no harm at all in ringing someone who is professionally trained. Our local team is vastly experienced in roof repair, and relentlessly strive to maintain our first class service. If you have an issue with your roof or want more information or advice, don’t hesitate to contact one of our team today on 01977 220 016.